Litigation | The Law Offices of Thomas Eagle Weathers, P.C. The Law Offices of Thomas Eagle Weathers, P.C. represents individuals and entities in all types of litigation matters (usually related to Indian law or business disputes). 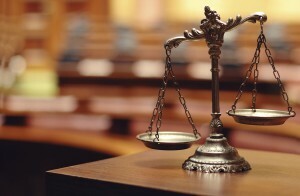 Attorneys in the firm have handled litigation involving appeals, contracts, slip and falls, wrongful deaths, auto accidents, premises liability, juvenile dependency, wrongful termination, professional liability, malicious prosecution, condemnation, subrogation, defamation, construction defect, insurance coverage, probate, and taxation. Our attorneys have successfully represented both plaintiffs and defendants in arbitration, trial, and appeals in federal, state, and tribal courts. We bring big firm experience with small firm client service.